The veteran striker, 35, was in the right place at the right time to side-foot home his 100th goal for the club three minutes after the break. 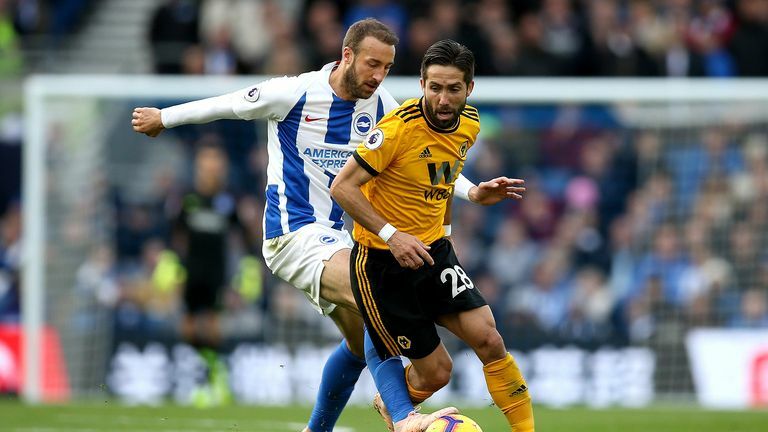 That was enough to move Brighton up to 11th after a third straight Premier League win for the first time - and the first time in the top flight since 1981 - while Wolves stay ninth in the table following a second defeat in a row. In a cagey first half, it was the visitors who dominated proceedings, with Matt Doherty a willing runner down the right. And the wing back really should have opened the scoring just past the half-hour mark after a neat one-two with Raul Jimenez on the edge of the area, only to place his shot just past the post. Glenn Murray (centre) is congratulated after scoring his 100th Brighton goal. Murray is the guest on Goals on Sunday this weekend. However, despite all their possession, it was Brighton who nearly went in ahead at the interval, only for Shane Duffy to somehow miss the target after being picked out at the far post by Solly March's right-wing corner. But that miss was soon forgotten as the home team took the lead right at the start of the second period, with who else but Murray the man to make the breakthrough. There is a good chance the VAR would have awarded Wolves a penalty after Jose Izquierdo handled Matt Doherty’s fierce drive in the box after 13 minutes, with the Colombian’s hands clearly raised to block the shot. Murray, who was a doubt for the game after suffering concussion at St James' Park last weekend, was involved in the build-up to the home team's winner after flicking the ball on for the marauding Bruno. The Brighton skipper came charging into the area and there was the unmarked Murray to convert at the far post for his sixth league goal of the season, more than any English forward. Meanwhile, Wolves boss Nuno Espirito Santo made a change to his starting line-up for the first time this season as record-signing Adama Traore came in for last season's top scorer Diogo Jota. 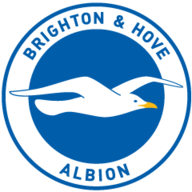 However, Chris Hughton's team were still grateful for a brilliant reflex save by Mat Ryan in stoppage time to keep out Ryan Bennett's close-range strike, meaning Brighton had recorded a third successive top-flight clean sheet for the first time in the club's history. He maybe 35 years old, but Glenn Murray is the highest-scoring Englishman in the Premier League this season and surely deserving of at least a look by the Three Lions boss. Meanwhile, Lewis Dunk produced another impressive display at the back to ensure the hosts kept a third top-flight clean sheet in a row. 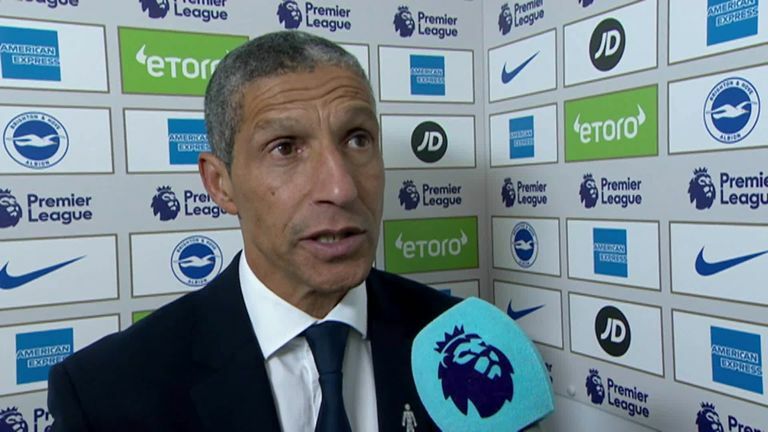 Hughton: "That was our most resilient performance since last week! 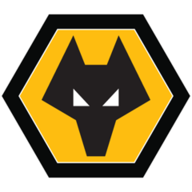 We would prefer not to make a habit of having to defend really well against a good Wolves team, but it is a trait that brings the best out of a team. We can play better though. "I spoke to the players after about how difficult it is for a team like us to get three wins in a row - to get three wins and clean sheets on the bounce is very, very difficult for a club like us at this level. But we need to try and use the things we are good at and try and be better in our next games." 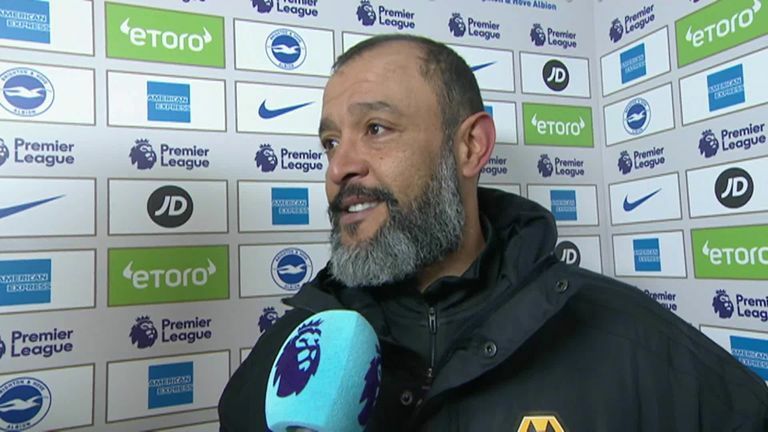 Nuno: "The result was definitely not what we expected. The boys worked for it and the performance was good. It was better (than last week) and a good reaction. "But we must improve on the final touch, we created many chances, we deserved to put inside the net and today was not the day. "A lot (disappointed with the goal), from a throw-in, small details change realities and the reality of this game was changed by the detail of the throw-in that we conceded a goal. "The reality is we did enough to deserve…. but credit to Brighton, they defended and threw bodies on the line of the ball." Where would Brighton be this season without their 35-year-old frontman? The deadly finisher was on hand to score his side's second-half winner on the south coast. And in a contest in which the home team barely created any clear-cut openings, they can be relieved that their fox in a box was there to stab home the only goal of the game for a second home match in a row. Brighton fans will want to tune in to Goals on Sunday - Murray is the guest. Brighton take on Everton at Goodison Park on Saturday, November 3 (3pm). Meanwhile, Wolves face Tottenham Hotspur at Molineux next Saturday (7.45pm), with that match live on Sky Sports Premier League.